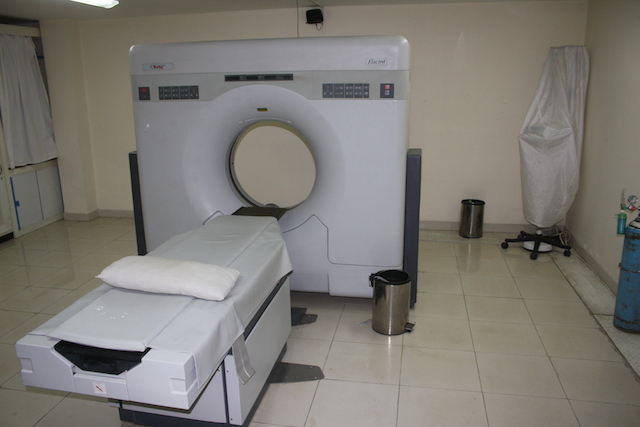 ADDIS ABABA, Apr 3 2014 (IPS) - For a while now, Magnetic Resonance Imaging or MRI scanners have typically been a luxury that both government and private hospitals in Ethiopia have struggled to afford to purchase for in-house use. But people like Burns are taking advantage of these gaps to do good while making a profit at the same time. “This project represents the highest form of achievement edified by the mantra: ‘Doing well by doing good,’” Burns, who is based in Addis Ababa as a self-styled “ExPatrepreneur”, tells IPS. Burns describes the project to provide the country with scanners as a for-profit enterprise with a charitable component. “We will be offering a total of 25 percent of our scans for free to those that are unable to afford it,” Burns says. So far, Burns says he will only bring one mobile MRI scanner to Addis Ababa and will sell its services on a pay-per-scan basis. Also, there is a plan for a portion of profits to fund a not-for-profit venture called Doctors Within Borders, which aims to provide financial incentives to encourage Ethiopian doctors to remain within Ethiopia, as well as work in remote rural areas. A previous private MRI scanner service in Addis Ababa set a precedent for profitability, Zelalem says. The business conducted about 30 scans a day — an MRI scan typically costs from about 115 to 150 dollars to conduct and process the images — totalling annual revenue of more than one million dollars. However, this scanner is fixed and patients are transported to it from various hospitals across the city. “[In a developing economy] a government’s focus on financial market stability and security issues can result in healthcare issues remaining on the sidelines,” Alayar Kangarlu, who leads the physics and engineering group at the MRI research centre at Columbia University in New York, tells IPS. At the same time this creates an opening for private business, he notes. And generating a healthy bottom line can have a beneficial role in healthcare provision, some say. “NGO-based humanitarian healthcare usually struggles with sustainability and operates from grant to grant,” a worker within the health sector in Ethiopia, who wished to remain anonymous due to current work commitments, tells IPS. Private enterprise, on the other hand, he notes, can achieve long-term sustainability thanks to profit generation. And it is usually more flexible, and more efficient due to greater accountability, than NGOs typically hampered by rigid fiscal rules on profit. Private enterprise can also free up capacity within public- or NGO-provided healthcare. Admittedly profit generation within healthcare can turn sour and escalate wildly, he notes, as witnessed in the U.S., but Ethiopia’s healthcare system remains light years away from encountering such problems. Burns remains confident that he can improve MRI scanner availability in Addis Ababa. And if that is achieved, then the same business model could be applied to other major Ethiopia cities around the country — and go some way towards helping achieve the MDGs related to healthcare. 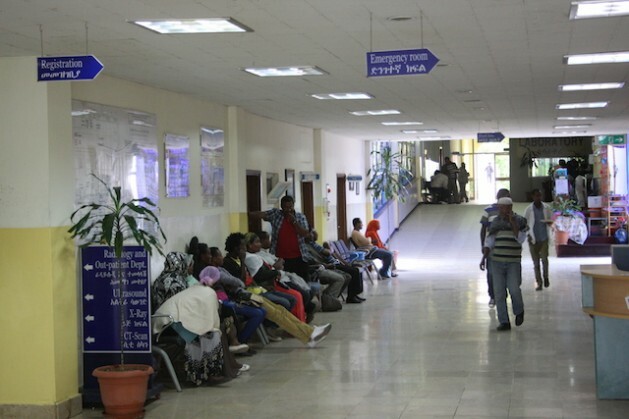 Private Hospitals in Ethiopia are part of the wider private health providers, which include medium clinics, higher clinics, general hospitals and specialized hospital. According to a World Bank and International Finance Corporation survey in 2006 and 2010, of those served by Ethiopia’s private health service provders, 45 per cent are rural and 42 per cent urban; 45 percent are in the lowest income quintile while 48 percent are in the highest income quintile. Therefore, the statement in this story that ‘Private hospitals exist but as an option affordable to very few Ethiopians.’ is misleading. Do you have links to the report by any chance? Just so you are all aware, the guy promoting this is a crook. Peter J. Burns III left Phoenix owing an easy $1.5 million in money he bilked from investors and friends telling everyone he was getting this huge inheritance from his dead father’s estate. He has no scruples, integrity, or moral character. Before you print anything else about this scum bag you should at least just Google this con artists name and see the many postings including many of mine. I have him reported to the FBI, Interpol, and to local police here. He has a laundry list of judgements against him that he will never pay. He has no assets, no checking account, and I got him fired from his gig with the very legitimate non profit that he was representing in Addis Ababa. If you Google him there is contact info for me. Jim Mayhew.